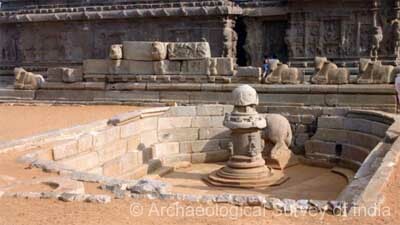 Sustained removal of the sand in the last century brought to light several buried structures around the Shore temple. 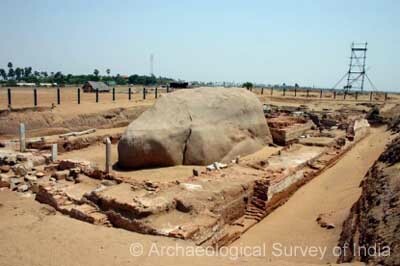 Unique among them is the early Pallava stepped structure, approximately 200 m long. This structure is running north to south parallel to the sea. The exact purpose of this massive edifice is still uncertain. 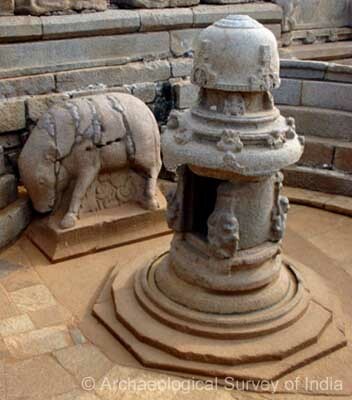 The steps are built of interlocking granite slabs over a laterite core. The intelligent interlocking method used here prevented the slabs from collapsing and recalls the megalithic traditions. Accidentally discovered in 1990, the Bhuvaraha image, the miniature shrine and the well belongs to Pallava King Narasimhavarman Mamalla’s (AD 638-660) reign, but enclosed by an elliptical enclosure of Rajasimha’s (AD 700-728) period. These remains are carved on the live bedrock containing the reclining Vishnu. The miniature shrine, dedicated to Siva, has its sixteen-side base carved out of the bedrock while the circular wall and superstructure are structural. Its form is unique and differs from all other single tier temples of Pallava period. The Bhuvaraha is shown retrieving the Mother Earth symbolically from the deep ocean. It was intentionally broken for unknown reasons. The base is inscribed with titles of the Pallava king Rajasimha. The enclosure wall built possibly to arrest sand from covering the remains contains an inscription in Pallava-Grantha script on the topmost course equating the king in pun with Arjuna. 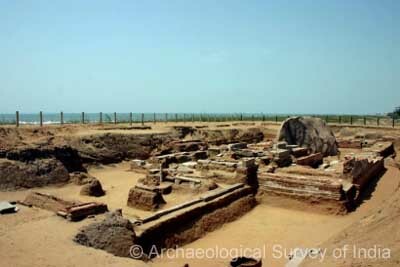 Recently, remains of two temples were excavated, one to the south of Shore temple and another massive brick temple of Subrahmanya near the Tiger Cave at Saluvankuppam, a hamlet about 7 km from here. 0600 hrs to 1800 hrs on all days. 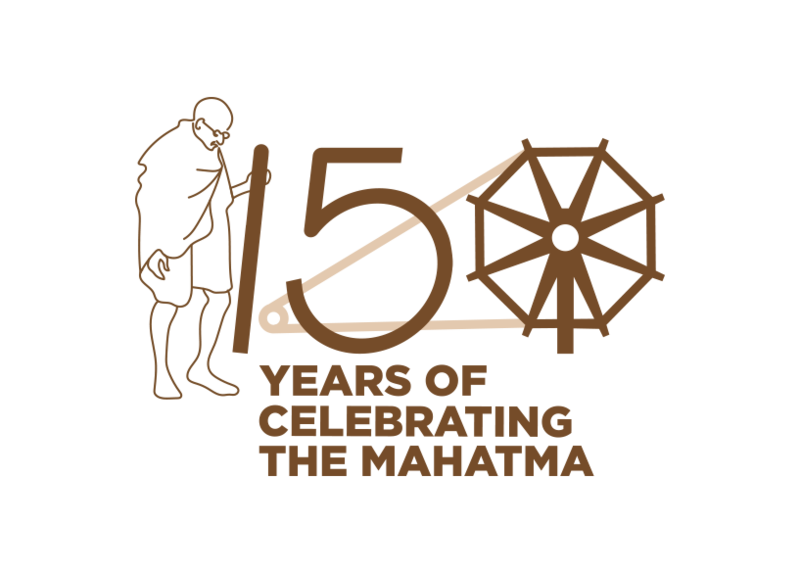 Sale of admission tickets will be closed at 1730 hrs. Mahabalipuram is about 58 km from Chennai on the East Coast Road and well connected by public and private transport. 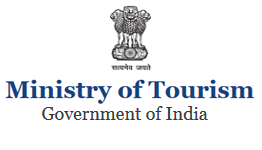 The nearest airport is located at Chennai.